Anthem Kneelers: Social Activists or Narcissistic Ingrates? Gratitude is the most positive of emotions, and ingratitude the most negative. Ingratitude motivates us to disrespect those persons and institutions that have helped us the most, and to which we owe everything. Ingratitude enables us to believe that everything good came to us as a result of our own sterling qualities, while everything bad was a result of racism, or bigotry, or whatever. As a result, no matter how lucky we are, we can still wallow in the feelings of victimhood and self-righteousness. The mixed-race millionaire and popular idol believes that his job is not to be a role model of success for minority young people, but to raise their consciousness to racism. Where did he learn this? Not from his white adoptive parents, who took pains to teach him pride in his ethnic heritage. Not from his own life, which has been incredibly blessed. No, I believe he learned his bitterness in the university, where leftist professors filled his head with Marxist jargon. Marx published “Das Kapital” in 1867 and the “Communist Manifesto” in 1888, but those who swallow its notions call themselves “progressive.” How it is “progressive” to move backwards a century and a half to ideas that have been disproved? They don’t say. Of course, Kaepernick probably listened to Democratic politicians echoing the propaganda of Black Lives Matter. Serving as a positive role model of success was not enough for him. But protesting was his right under the First Amendment, was it not? 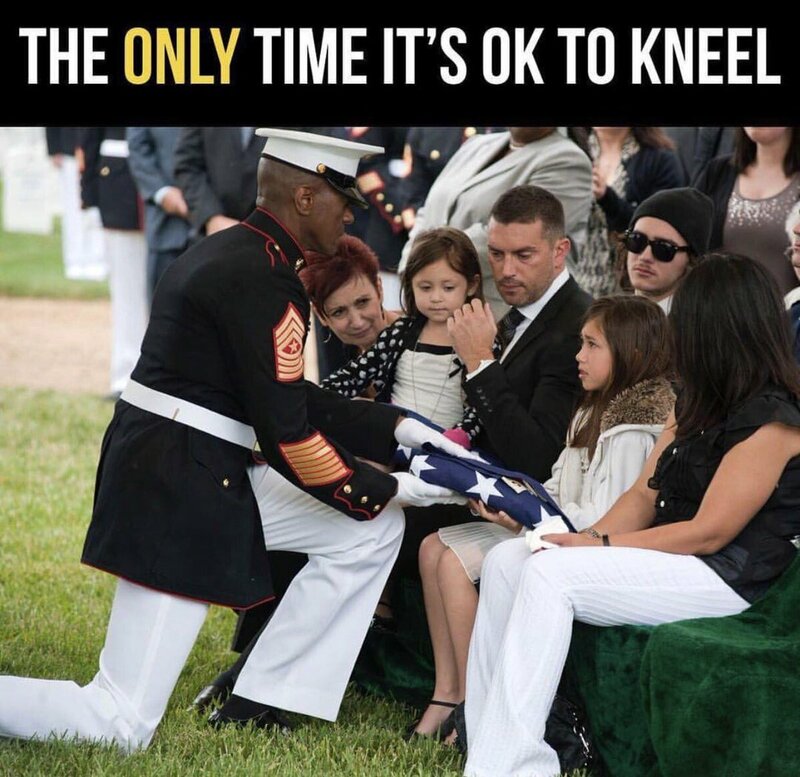 Yes, but what about respect – respect for those who died or lost limbs fighting for that flag, and for those who try to stand in their wheelchairs for that anthem? But what if a player showed up wearing a “Make America great again” cap, or a Trump button, or even an “All lives matter” T-shirt? Imagine the uproar. There would be boycotts of 49ers games. There would be calls for his firing. Of course, the First Amendment also guarantees the right to boo when players kneel, the right to walk out (as did Vice President Pence), the right not to attend games, and the right to turn off the TV. And many people are exercising these rights, as NFL owners are discovering to their sorrow. The right to kick a hornets’ nest carries with it the right to be stung. Disrespect the flag? Which flag? ● The flag flown by the one-third of a million white men and boys who died fighting for the Union in the Civil War, and thereby ended slavery. ● The flag flown by the multi-ethnic U.S. armed services when they defeated the “racially pure” armies of Nazi Germany and imperial Japan in World War II. ● The flag flown by President Truman when he desegregated the armed services. 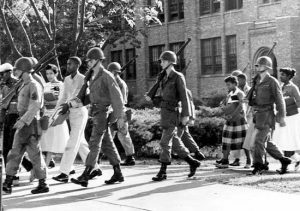 ● The flag flown by the 101st Airborne, when President Eisenhower sent it to desegregate Central High School in Little Rock. ● The flag flown by U.S. 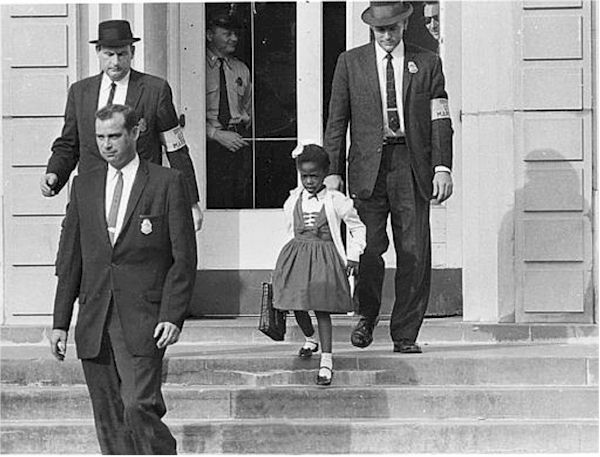 Marshals, when President Johnson sent them to take little Ruby Bridges to school in New Orleans. Yes, that flag, the American flag. Only the willfully ignorant could see it as a symbol of oppression rather than a symbol of liberation. 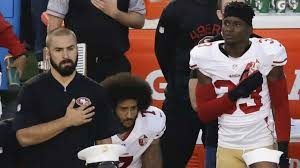 In refusing to stand for the National Anthem and the flag, NFL players are expressing hostility not toward racism, or even toward American racism, but toward America itself – the source of their freedom and good fortune. That is the height of ingratitude. Ingratitude is a really enjoyable pastime. It enables us to feel good about ourselves while defaming our political enemies. It allows us to feel morally superior while hurling the vilest insults at anyone who holds a different opinion. It motivates us to insult the very flag and National Anthem that exemplify our freedom to express ourselves. Where else can you get a deal like that? As I read the story of Colin Kaepernick, it seemed oddly familiar. A biracial child is abandoned by his black father. Despite this, the boy idealizes the absent biological father and identifies as black. The boy is raised in comfortable circumstances and given a college education. He takes advantage of his opportunities, and through his own talents rises to a leadership position. 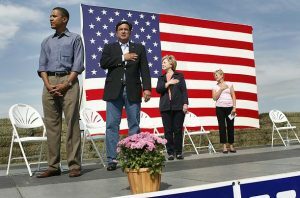 Nevertheless, he resents the homeland that provided those opportunities, emphasizes its failings rather than its successes, and shows his resentment by disrespecting its flag and its National Anthem. Oh wait ‒ now I remember where I heard that story before. Maybe the problem didn’t begin when Colin Kaepernick decided to disrespect the anthem and the flag. Maybe it began years before, when a more prominent person decided to do the same. Thanks for pointing out the striking similarity of Obama and Kaepernick. 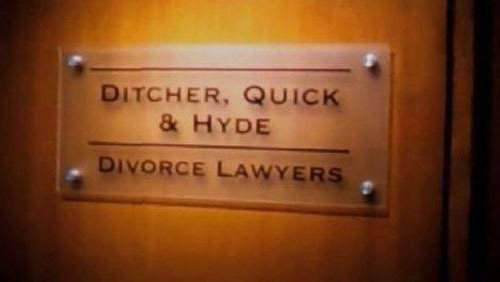 Wish I’d thought of that.